So, you see the number sequence 555 everywhere. At the foundation, the number 5 vibrates with the energy of affirmative change. Multiply that by three, and 555 wakes you up with a WOW. But, what is the message that your Angels are sending? Read on to find out more! The Angels have come at a time when your life is changing dramatically. If it hasn’t started yet, get ready to rock! No matter what, the Angels have guidance and positive energy to help you with the transition. Be aware that the Divine has a hand in what’s happening to you. There is no need to fear, particularly about mundane issues including money. Providence is part of the plan, as is liberation and a reborn sense of zeal. Any hovering gray cloud is about to be pushed away by a warm, vibrant wind. Most people struggle with a transition as it takes you out of your comfort zone. The Angels’ counsel that opening yourself is a much better avenue dive in knowing that monumental joy and contentment are on the horizon. It’s important to realize that when we say “change,” it could be one HUGE moment that’s obvious or several smaller instances that go by almost unnoticed. In the case of the latter, it’s a cumulative effect. Don’t overlook little things that advance your progress. Challenges come in all sizes; this is comparable to the butterfly effect where one tiny occurrence translates over time into huge shifts. You might not always know which way you’re going, but you will most definitely be on the move. Angel Number 555 represents our life choices. 555 also symbolizes human flexibility, intellect, ingenuity, and individuality. The message here is that the lessons you learn right now will have a strong bearing on everything to come in the future. Allow yourself some spontaneity and whimsy along the way. Laughter is very good soul food. There are things in your life for which you’ve waited seemingly forever. Angel Number 555 says you won’t have to wait much longer. 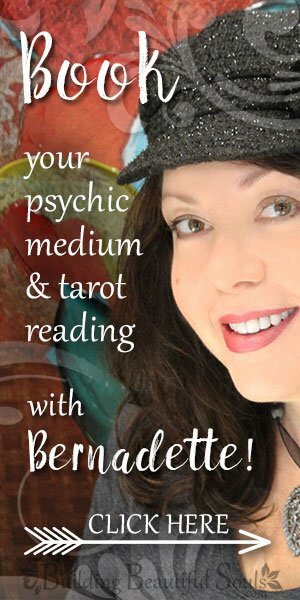 Your spirit is aligned with the fates to move into that new role or circumstance. The only obstacle you may experience is that of old doubts and fears rearing their ugly heads at the worst possible time. When this happens, take a deep breath and center yourself. Remember that negative thoughts hold you back. Seek out your Guardian Angel for assistance in an old-fashioned auric cleansing. Bear in mind that regular spiritual hygiene is important. You can pick up weird vibes from anyone and anything without realizing it. Your Angel says, “Rub-a-Dub-Dub!” Make cleansing a regular part of your life’s routine. You’ll know when you need it. You’ll begin to feel slower, less enthusiastic, uninspired, or depressed. That’s the energetic garbage clocking up the fine-tuning of your chakras. An exciting element to Angel Number 555 is that the unfolding circumstance may impact all of your life or focus on only one specific part. Angel Number messages aren’t always concrete, so keep this possibility in mind. Either way, you are about to experience abundance, health, and love on a whole new dimensional level. Don’t let skittish emotions stop you from this adventure. 555 signals a change in your vibrational frequency. It will be discernable. You will begin noticing people that you hadn’t before because they “hum” on the same radio station as do you. Others may feel like static. That’s an indication that they are not healthy for you. Handle those people with caution. Your soul’s contract and your life’s purpose are a matter of incredible import. Mind you; some people may fade of their own accord because they too know something is different. They don’t understand what has changed. Why are these changes happening now? Because you are finally ready to let go of things that don’t help you be, they negative ideas or toxic people. It’s time for a fresh set of concepts and an improved way of living — time to release angst-ridden fears and hold tight to trust. The world is yours to explore. Consider traveling for five or 15 days (5+5+5) or do something wholly spontaneous that you’ve always wanted to try. It’s fun, it’s true to your personality, and it’s an excellent tune-up for your spirit. 555 energetically puts you on notice that you are about to be in the center of the action, whatever that happens to mean right now. This activity provides you with growth-oriented contacts too. Keep your eyes open for “helpers” that open doorways for you mentally, physically, spiritually, professionally etc. As the Powers support your new vibrational thumbprint, your heart begins feeling lighter. Burdens that you’ve carried for too long start slipping neatly away; this is incredibly uplifting and inspirational. You are comfortable in your skin and have a much clearer understanding of your life’s calling. This is an AH HA moment complete with a blazing white light bulb. Let it shine! Another lesson of 555 is personal culpability and participation. Guides and teachers aren’t going to do everything for you. That wouldn’t do any good. They expect you to get up and dance with the music of your soul. Listen to the drum of your heart. Move toward making concrete choices that you trust. Some people fret about Angel Number 555, feeling as if they are going to be taken by surprise. The number appearing puts you on notice. Keep your eyes sharp and your senses keen. Continue to pray and so you don’t miss any guidance that helps you complete this cycle. It is true that not all the variances facing you are “fun.” Some seem too quick or too exacting. Nonetheless, know that the Divine is giving you these lessons so that you can orient yourself to the true nature of your being. Don’t run from those challenges. It’s time to go over or around that wall and move on. You have great allies helping you along the way. When you finally reach that finish line, the blessings that await are worth it. 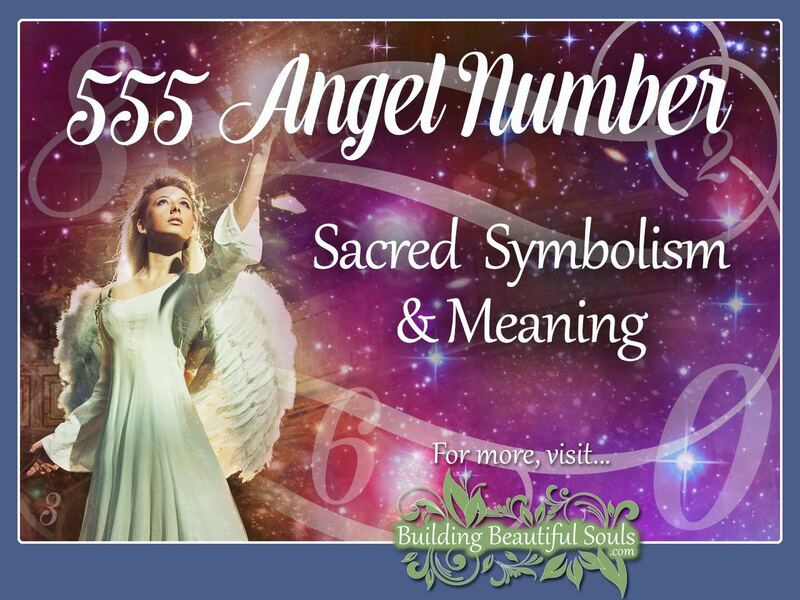 As an Angel Love Number, 555 brings attunement with our emotions as well as our creativity. Anyone who has been in a serious relationship understands how important a little inventiveness can be to keep things fresh. 555 allows you to enjoy the people in your life without throwing your independence out the window. You are ready for changes in your Tribe, particularly in terms of understanding each other on deep levels – those knowing “conversations” we have without speaking one word. If you have recently made a new friend or started dating, seeing 555 is no coincidence. This person has come to you for a good reason and with honest intent. So definitely move forward sensitively with this individual, building on your mutual beliefs, interests, and goals as a starting point. Wherever this goes, you’re stepping out on an adventure together. Some of your interactions are meant to act as a mirror. When 555 keeps coming as a message, look at recent discussions or actions that bothered you. Reflect: What was it about that moment that left you itchy? Whatever you didn’t like, you have the opportunity (and the responsibility) to change it. A wise mother once said that you couldn’t complain about things if you make no effort to rectify it (or minimally telling that person what bothers you). Look at our bodies. We have five senses, five fingers, five toes – and so the number 5 certainly has strong meaning and symbolism on the human level. In the Tarot, 5 portends rapid changes, sometimes dramatic for ill or good. There is also the Hierophant, the 5th member of the Higher Arcana that represents convention and tradition. When we add this together, we see 555 as a breaking away from what’s expected or standard, which can be very liberating, but the results aren’t always that for which we hoped. If we look at the single digit 5 in the Bible, we know that “Jesus” has five letters. In Numerology the full name of Jesus Christ reduces to 5 (59 = 5+9 =14 = 1+5 = 5). There were five loaves of bread for feeding five thousand people. In the King James Bible code, the word Christ appears 555 times, giving the number resonance with grace, unity, and redemption. In Isopsephy, the Greek word for discernment adds up to 555 (1 Corinthians and Hebrews). When 555 continues repeating even after you have become aware of it, you have a task. Lightworkers tell us that positive affirmations couple with Angle Number 555 very well. They provide uplifting energy to see you through the bumpy times. Prayerful living is also an excellent practice. Everything you have been through in life led you to this moment. You are ready, and your Angels are standing firmly behind you. Keynote ideas to bring forward in your affirmations include being self-aware, co-creating, flexibility, releasing the past, cleansing, individuality, and transformation. In short, Angel number 555 lets you know there’s a lot of changes on the horizon. Throughout this period, you are counseled to give yourself to this process in all its ebbs and flows. The angels offer you love and blessings that support you daily. It’s a significant spiritual awakening that may even lead you to move into various metaphysical practices like energy healing. No matter what, your ability to commune with Angels, the Divine and other spiritual entities improves vastly. Your wheel of life is turning again. You feel freer as if you’ve spread your wings and flown higher than before. Your relationship with others, your higher self, and even the Universe shifts dramatically but in a beautiful way. When 555 repeatedly appears in your life, accept the Angels offer of assistance with gratitude. Whatever problems weigh you down, now is the time to release the chains, to feel deeply, to know your true self, to forgive and move on. Finally, please know that the framework for 555 is very personal. Some work through it in weeks, while others take months and even years. Don’t be discouraged if your transformation seems to go slowly. It gives you greater time for the integration of the Angels’ important messages.